From city buses and charter services to party buses, to bright red London double-deck buses-- we can accommodate all your travel needs. Prices vary, call for quote. 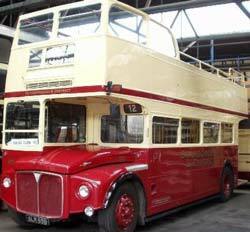 We charter London Double Decker Buses for any occasion. Bachelor parties, birthday parties, theme parties, bar hopping, and more!! 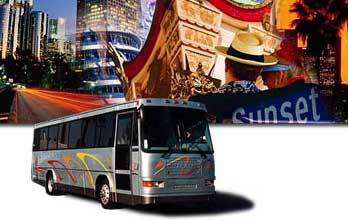 Our unique buses provide seating for up to 60 guests!! Bring the party with you! Alcohol is perfectly legal to bring on board which makes us perfect for your next wine tasting tour or fraternity kegger! Don't worry about driving or parking! We go where you want, we leave when you say. Throw a party that they'll be talking about for years to come! 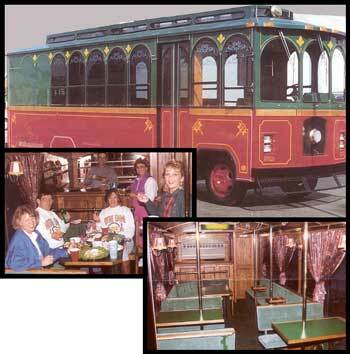 This Goodtime Trolley accommodates up to 20 passengers and comes complete with tables, bar, bathroom, air conditioning, color TV/VCR, refrigerator and am/fm radio. Prices vary, call for quote. Terms: Price depends on pick-up and delivery points, number of miles, length of time needed & number of passengers.